In the past, protein supplements have really been more targeted towards men. Visuals of big bulky muscular men chugging a protein shake like Popeye guzzling spinach without even trying to chew seem to come to mind. It didn’t matter that the consumer needed to be educated on how to use protein, all that mattered is that consumers were buying it because they wanted to look like the guys in the ads. Well, knowing how to consume protein certainly matters. You can’t just drink it and grow muscles (although sometimes we wish that was the case). Protein powder is great for both males and females but you need to know how to use it is what really matters. Supplementing with protein powder isn’t not going to do much of anything unless you have a strength-training regimen to accompany it. Protein is the building block to your muscles, with each of us having unique needs. These needs will differ depending on the type of workout you are doing. For example, you’ll need more protein if you’re lifting weights than you would after a yoga class.. Think about it this way, the more muscles exerting you are using in your workout, those are the workouts where your body will crave more protein and benefit from it. As long as you’re not consuming a ridiculous amount of protein, moderate amounts of protein supplements are good for any type of exercise you’re putting your body through. Okay, so you have the workout part down but when should you be consuming a protein supplement. Well, the answer isn’t as simple as you would like it to be. There is going to have to be some experimenting on your part, as there are many different approaches you can take. A lot of people swear by consuming their protein supplement within an hour of working out. Others, also suggest having half of a serving before you workout so that you aren’t working out on an empty stomach. This is where you are going to have to test out your intake for a few weeks and see how you feel. How are your energy levels? Are you getting stronger? Etc. Another popular method is to take it in their breakfast by throwing some into their smoothie or oatmeal or protein pancakes and then also consuming a serving right after their workout too. The idea is to just start incorporating it into your life because of all the benefits it provides. Plus, it is important to find a protein supplement that works for you. We are partial to PRIME because it provides more than just added protein to your diet. PRIME also includes prebiotic fiber, probiotics, digestive enzymes, BCAAs, glutamine, and glutamic acid. 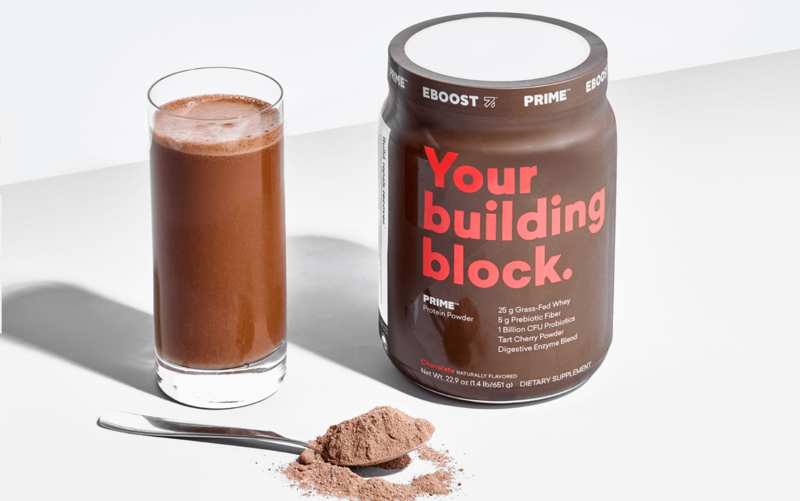 And last but not least, PRIME is a grass-fed whey protein for both men and women, contains no added hormones or antibiotics, rBGH-free & r-BST-free, non-GMO, gluten-free, soy free, no artificial flavors, colors, or sweeteners and no sugar added. Phew, now that is a lot of good stuff right there.